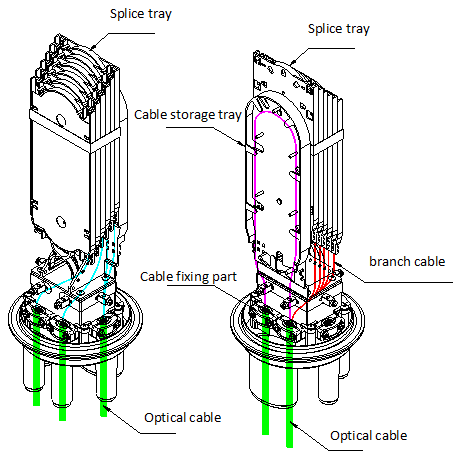 FP-CV015 is widely applied to the splicing, distributing variable optical cables. 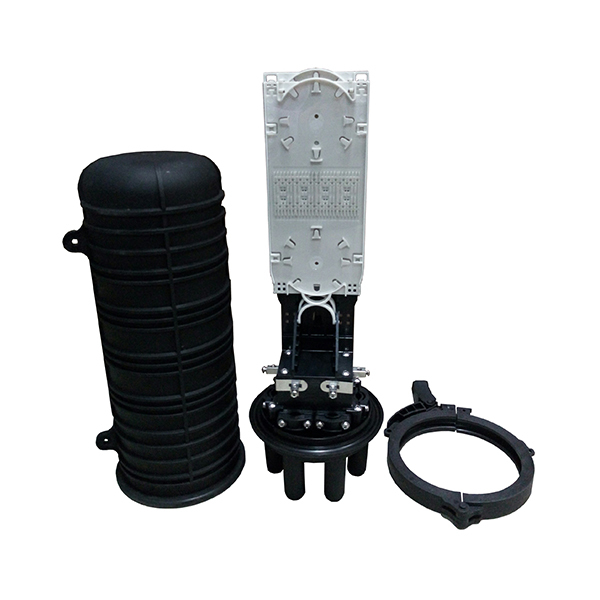 2) Cable port: 4pcs round port φ20mm, 1pc ellipse port for supporting cable entry without cutting. All cable ports are heat shrink sealing.